It is with great excitement that I write this letter of introduction to you as the newly appointed Interim Principal of Holland Christian High School. I am honored to have the opportunity to lead a school with such a rich tradition of education! Some of you I have already had the privilege to work with last year in the Middle School. I have been dedicated to the field of education for more than seventeen years. I look forward to working with you as a partner in education to ensure your child’s success. I have heard nothing but fantastic things about the teachers and staff, and I will work hard to continue the legacy of success established by HCHS by building strong relationships with parents, students and community partners. We will focus on character education initiatives, common core skills, the use of data to drive instruction, and providing consistent implementation of the curriculum in a rigorous manner so that we can continue to increase all of the students’ achievements. It is my prayer that everyone who steps through our doors – teachers, students and parents – feels welcome and excited to be here! This attitude enables us to meet the challenges of academic excellence in a positive, fun, and nurturing environment. My door is always open and I welcome your input. Please feel free to call or email me anytime to discuss any concerns you might have throughout the school year. God is good – and I look forward to working with you as a team to help each student at Holland Christian meet their goals and have a successful school year! Check in day is Monday, August 20 and will take place on Main Street from 11:30 am to 3 pm. This is a chance for you to have your picture taken for your student ID, walk around the building and find your locker, pick up your laptop, purchase a sports pass (optional), check out the Maroon and White shop and pick up a parking permit (if driving). All students (including seniors) must have their picture taken whether or not the pictures are purchased. These pictures are necessary for the yearbook, student transcripts, I.D.’s, and for our student management software. Seniors, this picture will be on your high school transcript. If you would like to order photos, go to this website. To help speed the picture taking process we would like to suggest the following schedule. If the times do not work for you, it is okay to come at a different time. Picture Make up day will be Thursday, September 6. Senior Picture Information – Click here for details. The deadline for senior pictures is September 28. Holland Christian High School does not have a required list of school supplies for students to purchase. School supply preferences will vary from student to student. Math students will need a TI-83 or TI-84 calculator. We will be hosting our annual Parent Night on Tuesday, September 4 at 7 pm. Please add this event to your calendar and make it a priority to attend. New to Holland Christian High School? Our New Family Information Booklet was created to help new families transition into HCHS. We hope you find the information helpful! The High School uses PowerSchool for accessing student schedules, tracking grades, attendance, and family contact information. Student schedules will be available in PowerSchool on August 14 at ps.hollandchristian.org. Parents can log in with the username and password you created in a previous year. Parents of Zeeland Christian, and others students new to HC will be sent information for creating a PowerSchool account. If you detect any errors or need to make changes to your schedule, please complete this form on the web. The High School runs a modified block schedule. This means students take seven classes on Monday/Thursday/Friday, and fewer classes on Tuesday/Wednesday but for longer blocks of time. The updated daily schedule can be found here. In addition, it is important that Holland Christian has accurate contact and emergency information in PowerSchool. When you access your student’s schedule, please also check your family’s contact information and make any needed updates using the Demographic Change page. If you are unable to make changes in PowerSchool and you know that there are changes that should be made to your address, phone number, email address or emergency contacts, please contact the Administration Office at (616) 820-2805. Please review the laptop handbook and sign the required check-in day forms online. Forms need to be completed before you will be able to pick up your laptop on August 20. These forms include the laptop agreement, cheating/plagiarism, concussion awareness, and field trip/medical treatment permission. Please note that you will need to enter your student ID number in order to complete these forms. These student numbers will be emailed out to families later in August (if you are a returning HC student it is the number you already have). Lunch and breakfast options are offered daily for our students. For the monthly lunch menu and additional details about the lunch program, please visit our website. The cost for a high school hot lunch is $2.75 and milk is available for purchase daily for $.50. Students may drop off money for their lunch account at the Well or parents may pay online at sendmoneytoschool.com. If you have any questions about the hot lunch program, please contact Nancy McCarthy at nmccarthy@hollandchristian.org or (616) 820-2934. Reduced and free hot lunch are available for those who qualify. To apply for benefits go to lunchapp.com. Sometimes parents may like to take their student(s) out for lunch. Parents may take only their own student(s) out for lunch and must personally check them out of the office. Youth leaders or older siblings (out of high school) may also take students out for lunch by signing them out in the office. Busing is available to Holland Christian students in a variety of different ways, depending on where you live. West Ottawa, Holland, HCS South Side Busing, and Zeeland cooperate with HCHS and have their own registration forms and fees. Please find additional information and busing registration forms on our website. There is a “Pay to Participate Fee” charge of $85 to all students involved in extracurricular activities to help offset some of the costs of the program. This fee will be collected by the coach and must be paid immediately following the selection or determination of the activity participants. We are getting ready for Winterim 2019! Although most of our 2018 internship providers are willing to host again, I am in the process of recruiting additional employers for Winterim 2019. I am looking forward to helping your students explore the possibility of “test driving a career” by completing an internship January 7 – 11, 2019. If you are willing to host an HCHS intern in your workplace or know of someone who might be interested, please let me know (lfrens@hollandchristian.org). Please plan your vacation times according to the sport tryouts. The times and locations for each sport will be noted on the Athletic page. Contact your varsity coach for specific questions. All athletes must have an approved pre-participation physical form (dated after 4/15/18) on file in the Athletic Office before they may try out; the form is available here. All parents of athletes at Holland Christian High School are invited to attend our Athletic Parent Night on Tuesday, August 14 at 7 pm. All parents will meet in the Auditorium at 7 pm for an open general session followed by parent meetings with individual fall sports coaches. Rob Miller, commissioner of the Wolverine Hoosier Athletic Conference and presenter for ProActive Coaching, will be leading parents with a talk entitled “The Role of Parents in Athletics” as our keynote to kick off our athletic year. Anyone interested may purchase an athletic pass on Main Street during Check In Day, August 20 from 11:30 am – 3:00 pm or at any home sporting event through August. Ticket prices at all home contests will be $5 for K-Adult. This price is set by our Conference. Holland Christian charges admission at the following events: Boys/Girls Basketball, Competitive Cheer, Football, Lacrosse, Boys/Girls Soccer, Boys/Girls Swimming, Track and Volleyball. All-Sport passes are available for Students ($60), Adults ($75), Golden-Ager ($125 – lifetime), Family ($270). Additional information on passes including seasonal passes, family options, and golden-agers passes are available here. The Maroon and White Shop will be open on August 20 from Noon to 3 pm and is open throughout the school year every Wednesday from 8:30 am – 1:00 pm. Look great…cheer on your teams…and support HC athletics in our spirit wear items! Interested in volunteering please email Dawn Mulder at dmmulder@comcast.net. We begin our theatre season this year with the stunning Rodgers & Hammerstein classic, Cinderella. The production follows Cinderella, a young woman who journeys from servant to princess, always radiating kindness and courage. With familiar characters such as the Fairy Godmother and persistent prince—as well as several new characters–Cinderella is an enchanting and moving production that will touch the hearts of both children and adults. Adapted for the stage, with great warmth and more than a touch of hilarity, this edition provides wonderful opportunities for actors, singers, dancers, and crew members to exercise creativity and ingenuity in bringing these rich characters and magical story to life. TRIP is a tuition reduction incentive program. It is just one way to pay for everyday purchases while earning rebates for your tuition account. Using TRIP to pay for your normal weekly purchases in a school year, you can raise $500 or more per school year towards your tuition. If interested please contact the TRIP program coordinators (Kristi Lokker and Mary Wynia) at trip@hollandchristian.org or at either Rose Park or the High School on Wednesday mornings from 7:30-9:00. Also needed are TRIP volunteers either Tuesday morning from 8:30-9:30 (at Rose Park) and/or Wednesday morning from 7:30-9:00 (you can pick either High school or Rose Park). Holland Christian High School will welcome Guatemalan students to campus through the Faces and Our Cultures Exchange Program. We are in need of 4-6 host families for 7.5 weeks that would be willing to host these students while they attend classes at HCHS. The program has led to wonderful friendships and provided valuable cultural experiences for both the students and host families. Volunteers are needed at the Holland Christian high school coffee shop called The Well – a fun place to volunteer and a great opportunity to meet teachers, students, and other HC parents. Coffee shop hours are 7:30 am – 10:am. This is a great opportunity for parents and for grandparents too! No experience necessary. 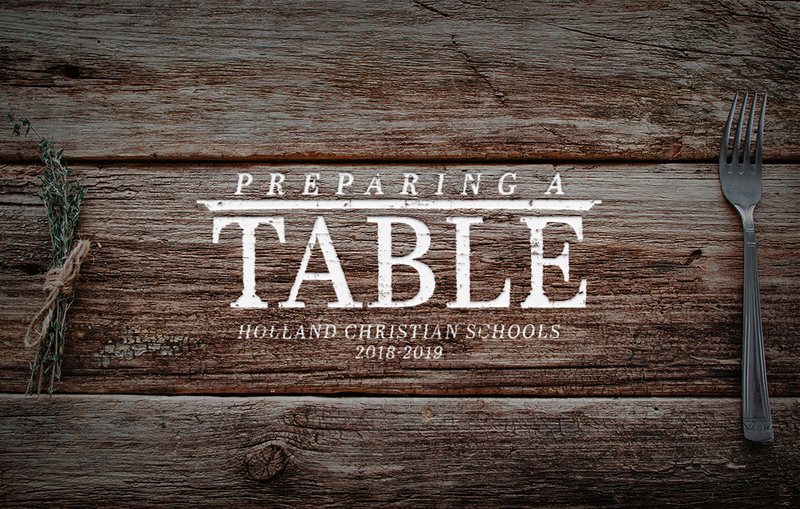 For more information or questions please email Cindy Genzink at cgenzink@hollandchristian.org or Jeanne Goodyke at jgoodyke@hollandchristian.org. What if you could change the world in a one hour meeting per week– not just for today but for generations to come? Moms in Prayer International impacts children and schools worldwide for Christ by gathering mothers to pray. At Moms in Prayer International, we believe that a mom can be the single greatest force for good in the lives of her children and the children around her. We believe that lives and whole communities are changed forever when moms gather together to pray to the only One who can change a human heart. Moms can make the difference as they reach out to God in prayer- moms just like you. When you join a Moms in Prayer group, you’re not just gathering with a supportive group of like-minded moms who understand your struggles and share your passion for your children. You’re becoming part of a much bigger story of prayer for the children of the world and Holland Christian Schools. If you have an hour a week to spend with a team of Moms covering your kids, their teachers, and administration in prayer daily—honestly where would your time be better spent? Reserve these important dates on your fall calendar.